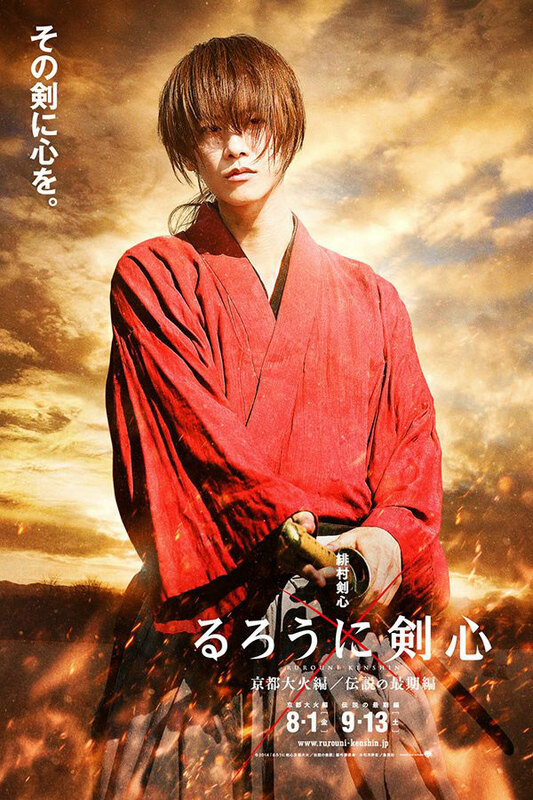 The story revolves around Himura Kenshin, a former assassin in wartime era who turned into a wanderer who helped to maintain peace after the war was over. 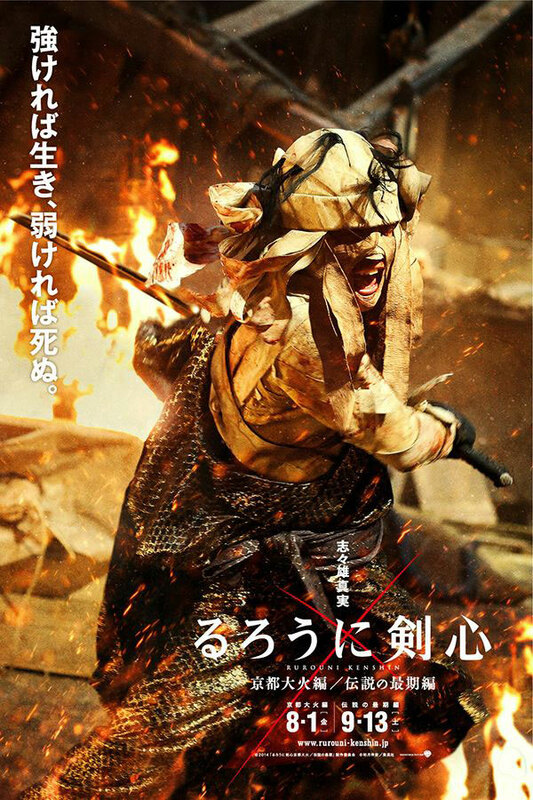 This time he faced a new villain, a skilful swordsman named Makoto Shishio, who sought revenge against the government that attempted to kill him by burning him alive. 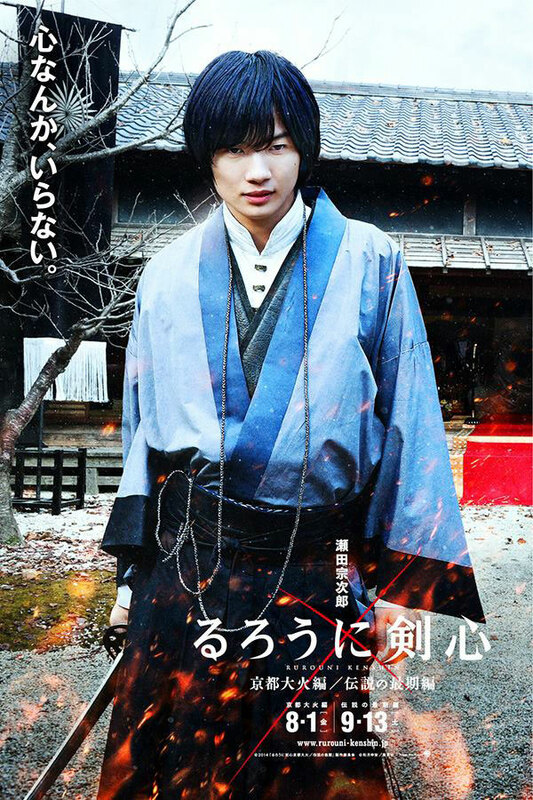 The 2014 film will make its premiere on August 1 in Japan. 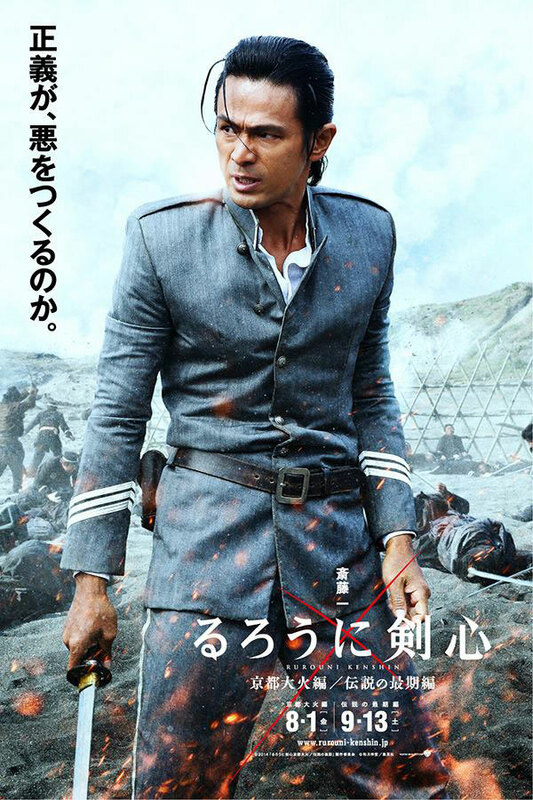 Below are images of some of the main cast, i.e. Takeru Satoh, Tatsuya Fujiwara, Yōsuke Eguchi, Ryunosuke Kamiki, Yūsuke Iseya and Emi Takei. 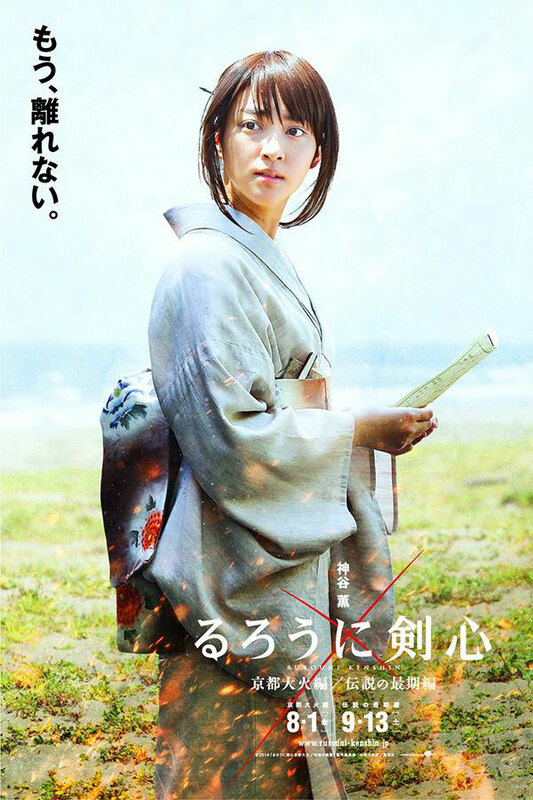 Other main cast members include Munetaka Aoki, Yu Aoi, Min Tanaka and Tao Tsuchiya etc. [Update] Apparently the sequel(s) is a duology. 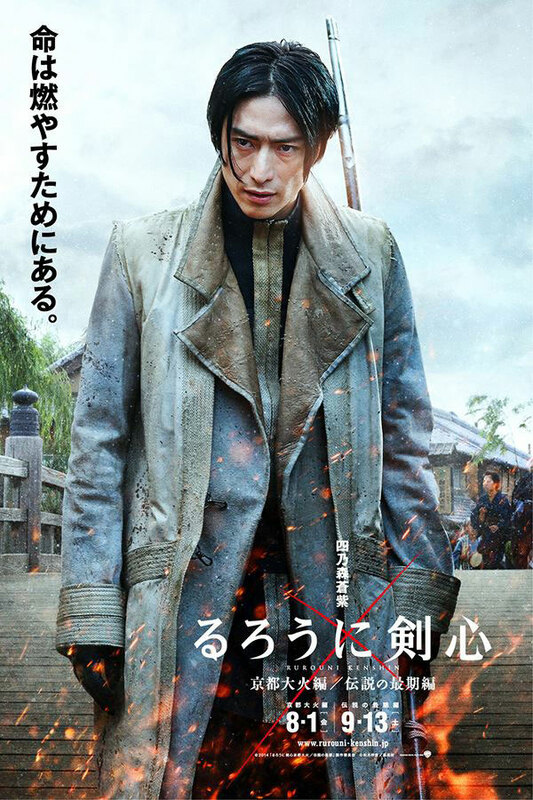 The second film is titled Rurouni Kenshin: The Legend Ends, which will be in theatres on September 13.